Day 4: Hiroshima - heading back to the train station on one of the city's streetcars. They're a point of pride here. Just three days after the bombing, one of the streetcar lines was back up and running. Survivors took it as a powerful sign that they might be able to rebuild after all, despite the overwhelming devastation around them. 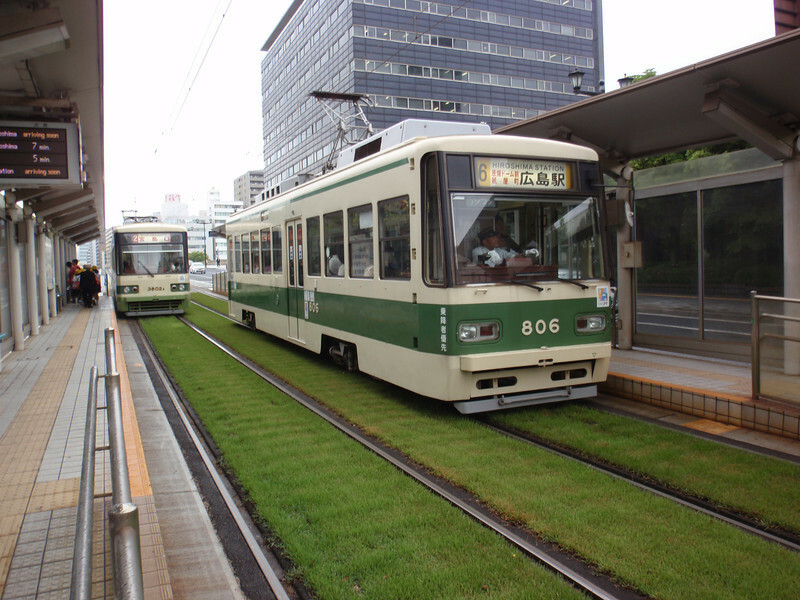 In the 1960's, when other Japanese cities were tearing up their streetcar lines to allow for more cars, Hiroshima bought up their unused equipment.